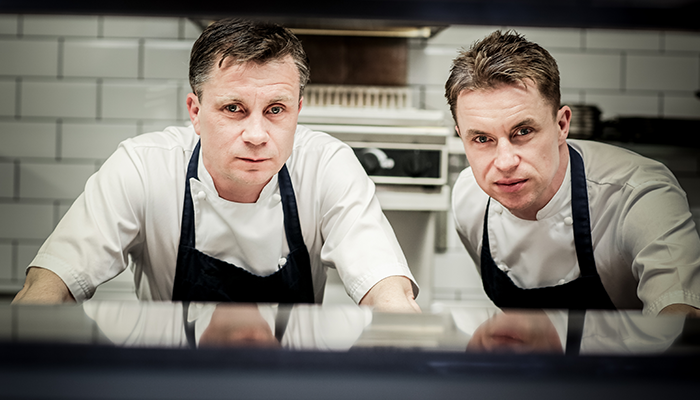 Chris and James Tanner need little introduction; as much-loved local restaurateurs, recognised nationally for their expertise, TV appearances and series of books. They turned to us to launch a new venture and keep their successful restaurants on the public radar. 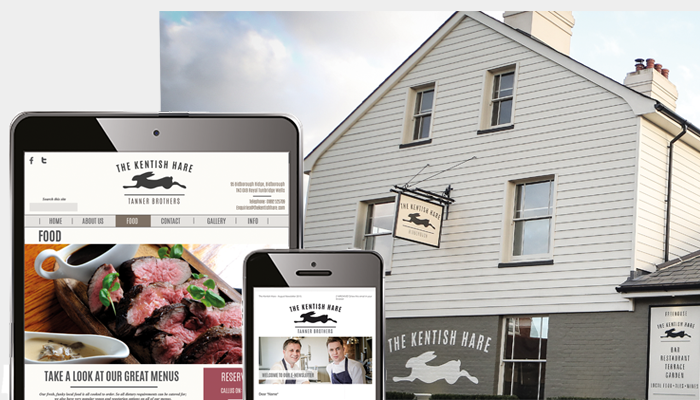 We were briefed to create the brand for the Kentish Hare from scratch and tend to the web development. The Kentish Hare is in the heart of the Kent countryside, offering excellent food in a stylish but traditional setting. We created the branding to capture precisely that. We coupled this with creative photography and a mobile responsive website with online booking. Our ongoing counsel means the website is performing well – it has been linked to Google Business and uses street view and this has already boosted web traffic by over 25%!